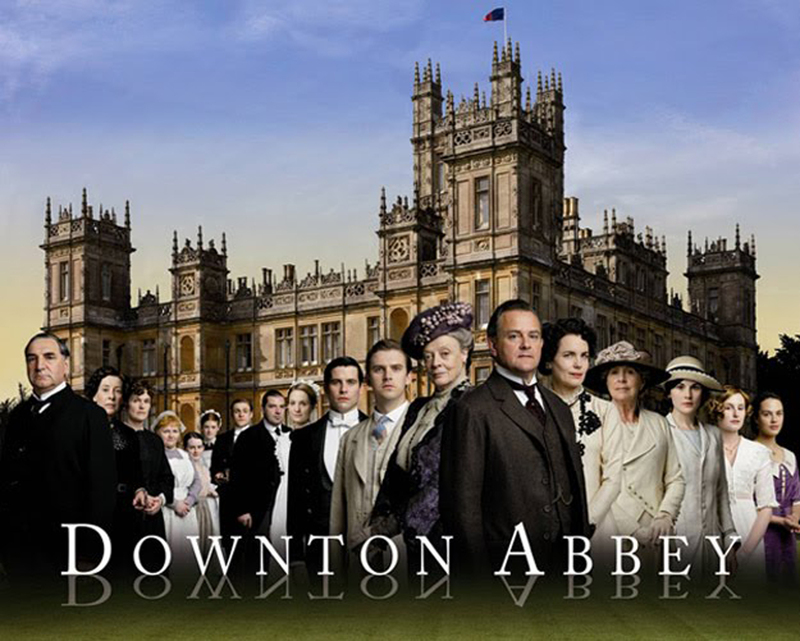 Downton Abbey is the British-American period series that came to PBS’s masterpiece in 2011. Created and written by Julian Fellows, in 2012 the show won the Golden Globe for best mini-series. If you haven’t checked it out yet, I highly recommend watching it but you should be carefully not to read any plot spoilers. Season three wrapped up this past Sunday night with a memorable episode. 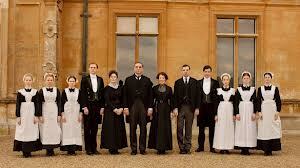 The Crawley family lives in a grand country home that requires a large staff to manage the daily business in the Abbey. 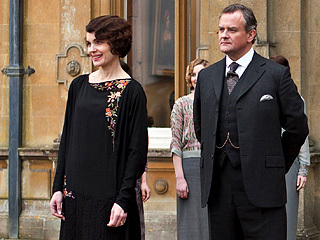 Robert Crawley (Earl of Grantham) played by Hugh Bonneville is married to Cora Crawley (Countess of Grantham) played by Elizabeth McGovern. 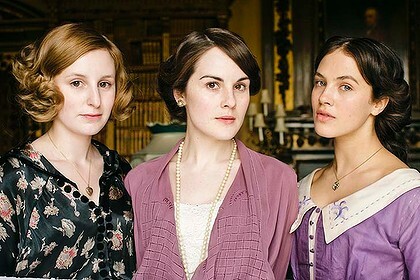 They have three daughters: Lady Mary Crawley (Michelle Dockery), Lady Edith Crawley (Laura Carmichael), and Lady Sybil Crawley (Jessica Brown Findlay). 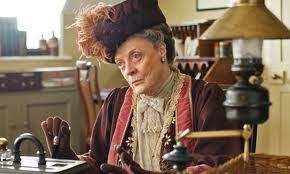 Robert Crawley’s mother Violet Crawley, Dowager Countess of Grantham (Maggie Smith) is another important family member. Maggie Smith won a Golden Globe for her performance this year. In season three you meet Cora’s mother Martha Levinson (Shirley MacLaine) from America. 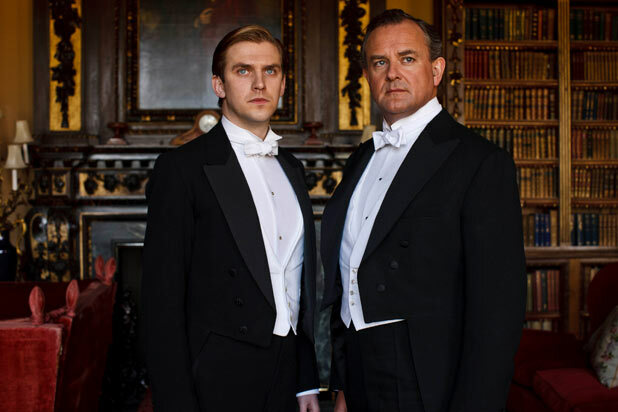 Two distant relatives are introduced in the first season: Matthew Crawley (Dan Stevens) and Isobel Crawley (Penelope Wilton) who become important characters. The dynamics of the family are interesting. Robert and Cora’s relationship is touching. We watch them struggle to run the estate as well as find suitable husbands for their daughters. Each daughter has a unique personality and over the three seasons each one has their own challenges to overcome not including finding a suitable husband. The staff includes the maids, the butlers, and the kitchen staff. 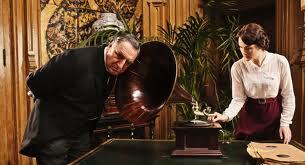 Charles Carson (Jim Carter) and Mrs. Hughes (Phyllis Logan) manage the staff. Mrs. Patmore (Lesley Nichol) runs the kitchen. I love to watch each of them deal with the challenges of managing the intricate staff. It is difficult not to fall in love with these characters especially Mrs. Patmore! The staff members you will love to hate include Mrs. O’Brien (Siobhan Finneran) and Thomas Barrow (Rob James-Collier). The lovable staff members include Anna Smith (Joanne Froggatt), John Bates (Brendan Coyle), Tom Branson (Allen Leech), and Daisy Mason (Sophie McShera). You will be introduced to more staff members but the above mentioned are involved in a lot of fun and dramatic plot lines. Susanna Buxton is the costume designer for the show. 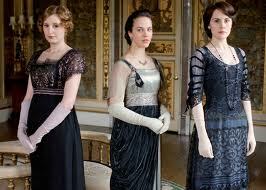 During each episode I eagerly await the reveal of what the Crawley women will wear to dinner. The Crawley family must dress properly for dinner. The men wear a white tie outfit and the women wear evening gowns with elbow-length gloves. Many of the scenes include the characters dressing for dinner with the help of the staff. I can only imagine how long this process takes but it is fun to watch, especially the women. 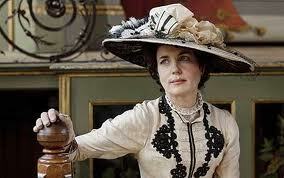 I love Lady Mary’s outfits and accessories! The day to day outfits are also fun to see. Season two introduces different looks for the men including the dinner jacket. Watching Lord Grantham try it on and debate its style is entertaining. The show begins in the years leading up to World War I. Some events depicted throughout the series include news of the sinking of the Titanic, the outbreak of World War I and the Spanish influenza pandemic. The show takes place in a very interesting time period. I enjoy the historical events as well as watching the characters deal with new inventions of the period. During each episode, you get immerced into the story. I want to be at the dinner table with the Crawleys or join the ladies for tea. I really love everything about this show! There are great love stories, dramatic events, and humorous bits.